If you’ve had a stressful day and need to give your body some sense of relaxation then prepare yourself for this incredible recipe! 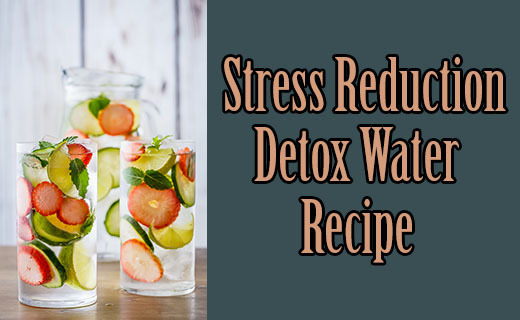 The fruity undertones in this simple detox water recipe makes it a great choice anytime of the day. 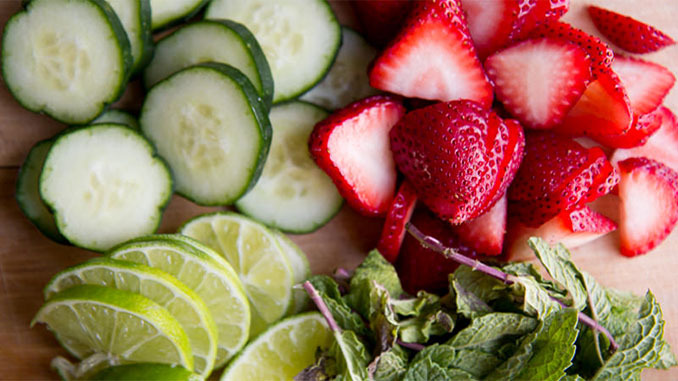 It combines strawberries, lime, mint, and cucumber to give you a wide range of benefits. Strawberries are a wonderful source of Polyphenol which helps you burn excess fat. Meanwhile, lime and cucumber are both rich in vitamin C and other healthy antioxidants to help flush your system. Make one batch during the weekend and be ready for the upcoming week! 1) Combine all ingredients above (except ice cubes) into a pitcher. 3) Allow the ingredients to steep in the refrigerator for 4-8 hours. 4) Serve with ice cubes and enjoy throughout the day! Let the fruits and vegetables sit in water for plenty of time to really infuse their flavors. Preparing and refrigerating on Saturday would be ideal if you wanted to enjoy on Monday. For an additional twist you can also add some seltzer water to quench a craving for carbonation. If you do decide to go that route, it’s recommended that you add seltzer to the mix one glass at a time in order to keep the bubbles extra bubbly. Make this recipe and enjoy a glass anytime you need to relieve some stress!